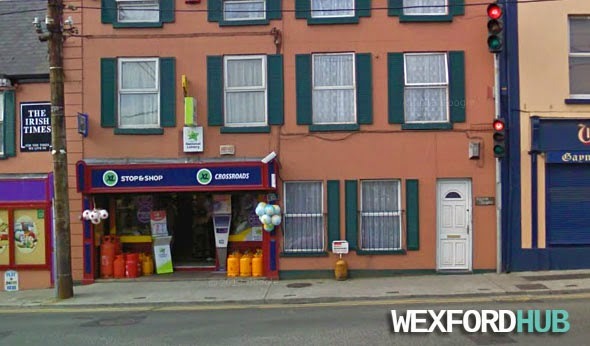 A photograph of the recently-closed Crossroads shop, which was located at the top of Hill Street in Wexford Town. Erdie Murphy, who owned the store, was forced to close the business when the introduction of a nearby traffic management system made it difficult for passing motorists to stop and pick up a newspaper or some fuel. Sadly, Erdie passes away in October of 2014 after a long battle with cancer.